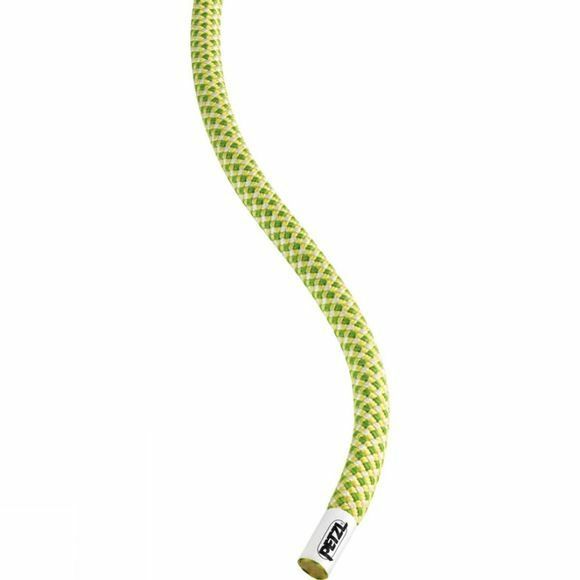 The Mambo 10.1 single rope has a 10.1-milimetre diameter for greater versatility and ease of use in the gym or at the crag. 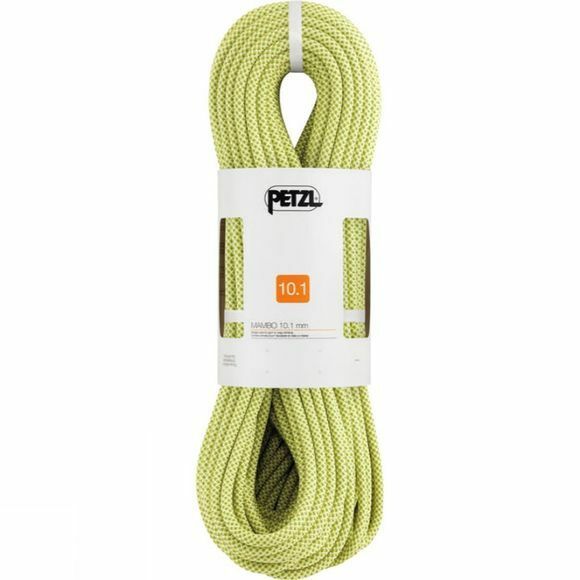 This rope has a thick sheath for greater abrasion resistance and durability as well as better control. The core and the sheath are bonded together at the rope ends by an ultrasonic process called UltraSonic Finish, which gives greater durability and avoids frayed ends. ClimbReady coil makes the rope ready for use; helps the user avoid initial uncoiling mistakes and increases longevity. EverFlex thermal treatment stabilizes the core strands and improves consistency, offering excellent grip and consistent handling over time. A Middle Mark indicates the middle of the rope to facilitate maneuvers.